This is the second part of a series of entries discussing various books that deeply influenced my writing and outlook on stories. You can read the Introduction here and Part 1 here. Please note that discussion of these books may contain spoilers. 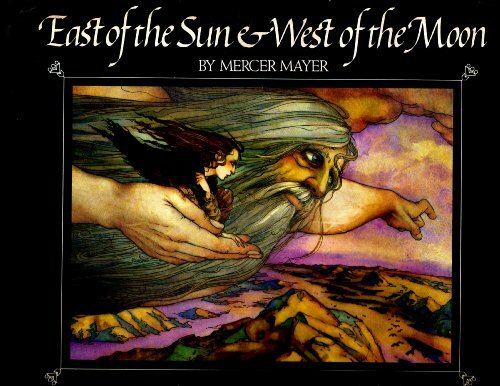 One of the earliest fairy tale books I remember checking out from the library was East of the Sun & West of the Moon written and illustrated by Mercer Mayer. It’s an old fairy tale and there have been different adaptations of it, most of which involve a polar bear. (One of my favorite alternate movie adaptations is the Norwegian film The Polar Bear King.) I cannot tell you how gorgeous the illustrations are, and they’ve stuck with me my whole life. Even when I forgot the title, I remembered those pictures. The girl sitting by a pond, a unicorn in the forest, the goat with the corkscrew horns, the giant green fish with scales like mirrors, the prince’s icy prison, and the evil troll queen with a wooden arrow in her heart. The beauty of these illustrations transported me into a rich, living fantasy world and have influenced my mental imagery of fantasy works ever since. It also, for a time, made me want to become an illustrator for children’s storybooks. (Each of the illustrations in Mercer Mayer’s books are done in watercolor. Watercolor! His rendition of Beauty and the Beast is equally breath-taking.) I’d searched on and off for this book for years, but my efforts were frustrated by not remembering anything except those illustrations. But recently, I stumbled across it by chance on the internet, found the title, and ordered a copy. This is the first part of a series of entries discussing various books that deeply influenced my writing and outlook on stories. You can read the Introduction here. Please note that discussion of these books may contain spoilers. 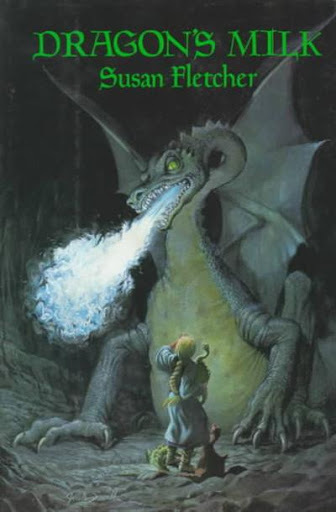 The earliest fantasy book I remember reading was Dragon’s Milk by Susan Fletcher when I was in second grade. (The only reason I remember when I read it is because I had to write a book report on it. Does anyone actually write book reports anymore?) The book is about the harrowing adventure of a young girl named Kaeldra. When her sister is struck down by a terrible illness, Kaeldra is told that only dragon’s milk can save her. But getting milk from a mother dragon is only half the battle. When the mother dragon is killed, Kaeldra is oath-bound to save the three hatchling dragons from the same fate. And even though Kaeldra has the ability to speak to dragons, her task won’t be an easy one. In addition to adding new words to my fantasy vocabulary (notably “ken” and “dracling”), Dragon’s Milk introduced me to several new concepts, such as the power of names, the use of telepathy for communication with nonhumans, and the idea that dragons have an intelligence and view of the world that is very different from humans. Most little kid stories with dragons and unicorns have the creatures communicating, feeling, thinking, speaking, and seeing the world essentially the same way humans do. They basically are humans…just with a different drawing attached to them. Even Bruce Coville’s book Into the Land of the Unicorns, another founding fantasy series for me, had that element in it. The unicorns communicate telepathically, but their thoughts and world-view really isn’t very different from the human one. Perhaps that was to make them more understandable, more relatable.